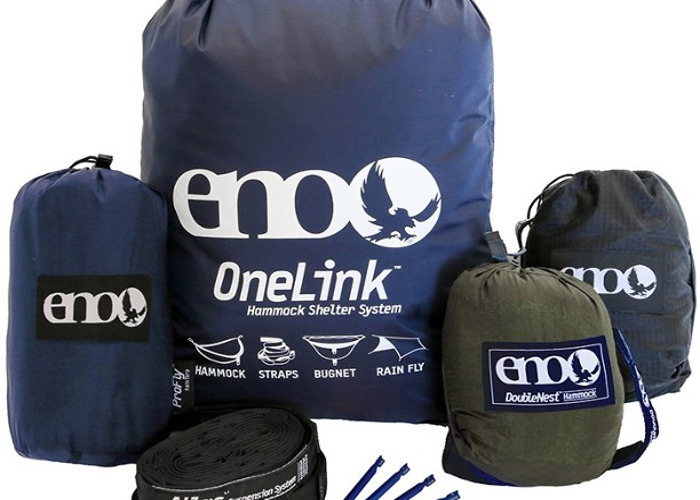 Eno Hammock system including DoubleNest hammock, rain fly, bug net, tree hugger straps, and stakes. Read user manual and instructions for use. 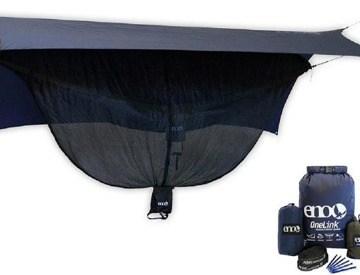 Please care for the hammock as if it were your own.